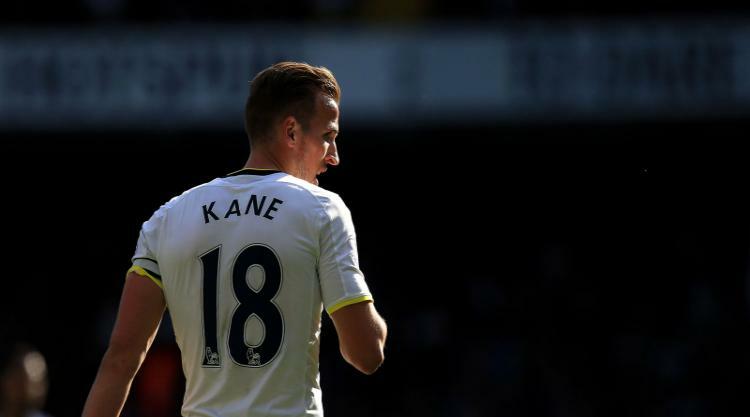 Who Will Follow Harry Kane As New Year's First Scorer? Harry Kane began his record-breaking 2017 by scoring the year's first two Premier League goals. As we wait to discover his successor in 2018, Press Association Sport looks back at the first strike of each calendar year in the Premier League. The full-back's sixth-minute header took the honours as Manchester United and Leeds drew 0-0. Harford scored the year's first two goals inside eight minutes. The midfielder pounced in the first minute on New Year's Day. A fourth-minute volley saw Newcastle edge out rivals Sunderland, and Michael Bridges, by two minutes. Everton's Nick Barmby and West Ham's Frank Lampard scored elsewhere inside five minutes but Di Canio was off the mark within 60 seconds. Both players struck in the eighth minute of their respective 3pm kick-offs. The Belgian took just two minutes to score the first Premier League goal of the 21st century. Bent exceeded even Harford's 1995 effort with two goals in the first five minutes on New Year's Day. The Argentina playmaker inadvertently nodded in Gavin McCann's deflected shot for an unlikely opener. Liverpool and Chelsea kicked off at 12.45 but Joe Cole's 80th-minute winner there was trumped by his namesake's fourth-minute strike in the 2pm clash. The England beanpole's unlikely speciality was on show as his bicycle kick broke Bolton's resistance after an hour. Rooney nodded in Patrice Evra's cross three minutes into the 12.45 kick-off. Albion were on the receiving end for a third straight year and fifth out of eight. In the 10th minute Antonio won a tackle near his own corner flag and, barely 20 seconds later, headed in Enner Valencia's cross. Full-back Kieran Trippier laid on the first two of Kane's eventual 39 league goals in the year in little over half an hour. 2018: Brighton and Bournemouth have the first bite of the cherry, kicking off at 12.30 in the first of five New Year's Day games.